Marcus Garvey hit Jamaica like a force ten gale, its legacy so great that in later years many fans mistakenly came to believe it was Burning Spear's debut album (it wasn't, two earlier records were released by Studio One). It made an instant hero of Winston Rodney, and the album remains a cornerstone of the entire roots movement. Spear was accompanied by the Black Disciples, a baker's dozen of the island's best musicians, including bassists Robbie Shakespeare and Aston Barrett, guitarists Earl "Chinna" Smith and Tony Chin, and drummer Leroy Wallace. 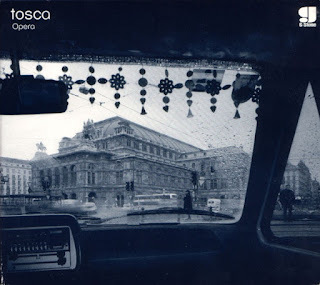 The Disciples helped the vocal trio bring their vast potential and musical vision to vinyl, one they'd threatened with previous releases, but never quite attained. Producer Jack Ruby's was equally important to the album's sound, gracing it with a deep roots mix that accentuated the haunting atmospheres of the music. Unfortunately, the listener experiences only wisps of that here. The Island subsidiary Mango believed the production too threatening, or at least too commercially inviable, for white audiences, and thus remixed it into what they considered a more palatable form. However, Marcus Garvey is so powerful a record that, even in this diluted state, it remains a masterpiece. If the music itself defined and glorified the roots sound, it was Winston Rodney which gave the movement's philosophy voice. Rodney's vocal talent is actually fairly minimal, his delivery more a chant than actual singing, but his intense passion overcame any deficiencies, with Rupert Willington and Delroy Hinds dulcet backing vocals counterpointing Rodney's rougher tones. A fervid rastafarian, Rodney used Marcus Garvey as a shining torch to light the way to political and religious consciousness. The album's twinned themes of cultural concerns and religious devotion combined to create a powerfully intertwined message of faith and political radicalism. 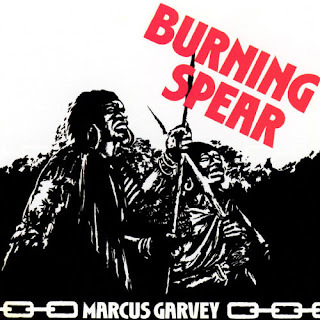 "No-one remember old Marcus Garvey," Spear sing at the beginning of "Old Marcus Garvey"; by the time the song's over, it's unlikely anyone will forget again. These musical mnemonics of Jamaica's past heroes and history, which include the hit title track, of course, "Slavery Days," another Jamaican hit, and "The Invasion" are amongst the album's strongest tracks, with the three devotional numbers equally inspiring. Oppression may be the fate of many Jamaicans, both past and present, but by giving voice to those trampled by poverty, slavery, or politics, Spear's underlying message remains one of hope.